Push-back for Produce might be a solid slogan in this busy campaign season… then again maybe we don’t want to go there. Instead what we do want is to show our customers a recent Mallard Engineering Test Lab test video that helped one of our fresh produce suppliers simplify and create efficiencies in their distribution center with push-back pallet flow. Growing fresh produce is only half the battle. Getting the fruits of your labor to the supermarket and into the hands of consumers should be the consistent and reliable part of your business so we offer pallet flow but as a push-back system for light to heavy, quick turnaround, slightly fragile cargo. Instead of the carts required for traditional push-back, using the pallet flow system allows you to use a single aisle for loading and unloading and still take advantage of the benefit of automatic pick-face replenishment. quality vs traditional carts. Push-back pallet flow also has a lower profile as opposed to the height required for several nested carts so system design will allow you to take advantage of that space for additional pallet lanes or other storage. Load weights from 1900-2450 lbs. As you can see from the video, the pallets flowed well in the system free of hang-ups and smoothly advancing down-lane. That’s just what we strive for and like to see. The Mallard engineers did caution our customer however regarding the quality of the pallets supplied for the test. 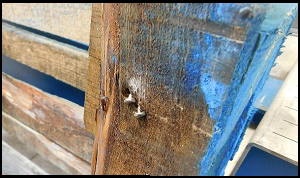 We’ve talked a lot about pallet qualify before but that’s because it’s worth talking about. 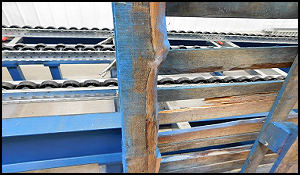 We design our systems to work, day in and day out knowing that downtime is costly and completely unnecessary when caused by overly worn pallets and or poorly repaired pallets. 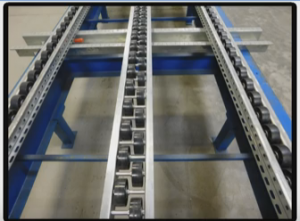 In the system design shown on the video, with the rails set at 39” out-to-out, the forklift operator would have to ensure that the pallet is dead center when loading into the lane so that the skinny boards underneath do not miss the rollers. Pallets in good overall shape provide a little leeway for forklift operators loading the system and are less likely to cause system hang-ups in general. You’ve done the hard work, now let us help you get that fresh produce to your customers! 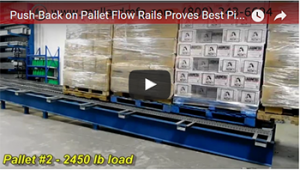 Give our gravity flow experts a call to discuss if push-back pallet flow rack might be the simple answer you’ve been looking for to increase warehouse efficiencies.